The Kelly Wearstler global luxury lifestyle brand is renowned for the designer’s sophisticated, soulful design of residential, hospitality and retail projects around the world. The Los Angeles studio artfully realizes the designer’s passion for materiality, color, pattern and texture into signature, modern spaces and collections of furniture, lighting, fabrics, wallcoverings, rugs, tiles and home décor that celebrate Wearstler’s signature influence. 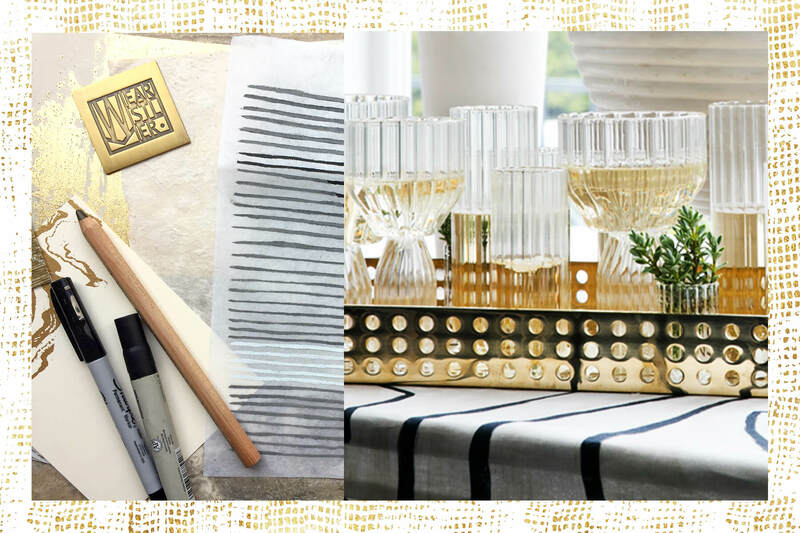 We’ve been lucky to be the exclusive purveyor of her stationery—especially her newest wedding collection. We sat down to ask her about her inspirations for the collection and for your wedding. 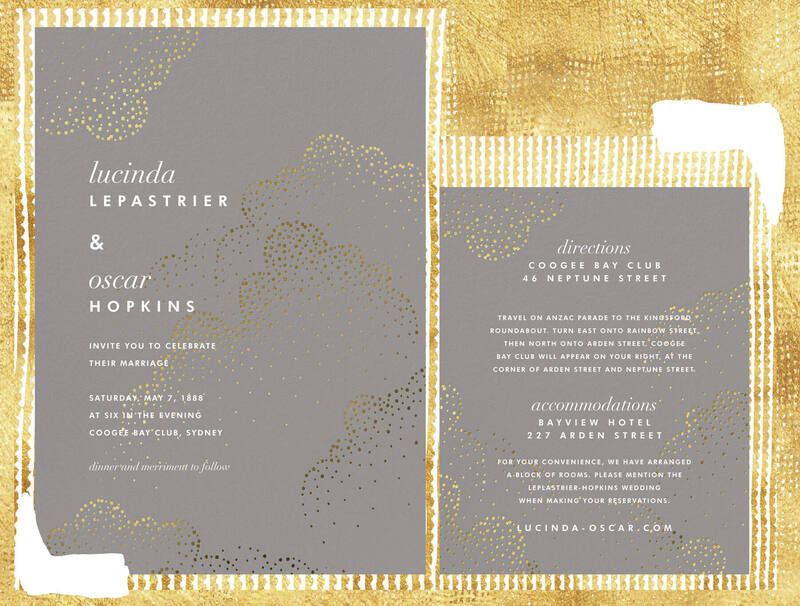 What visual themes and ideas are you exploring in your new wedding invitations? Weddings are a celebration of special, one-of-a-kind love. This collection explores the uniqueness of romance: the designs are melodic, raw, and poignant—but also a little playful. Design is storytelling. As an interior designer, you take your clients’ personalized story and run it through your own lens before it physically comes to life. 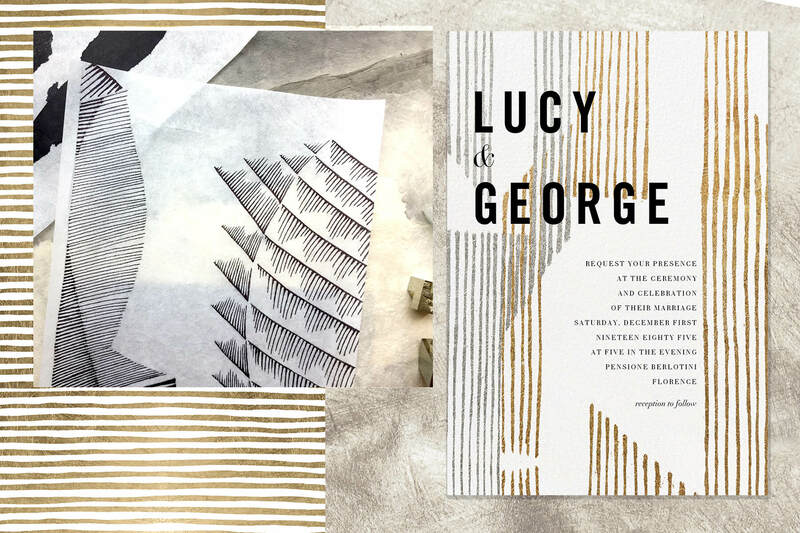 With the wedding invitation collection we had the same overall aim—to create designs that visually represent a couple’s personality and evoke an emotional response. When you think about the fantasy couple who’s using your invitations, who do you imagine? And what’s their ceremony like? They’re stylish, cultured, and madly in love. Their ceremony is intimate and filled with family and close friends. What’s an old-fashioned wedding tradition (sartorial, visual, or otherwise) that you really love? I love the tradition of wearing “something borrowed” and carrying a piece of family history with you as you commence this special journey into the future together. What’s a piece of advice you wished you’d gotten when planning your own wedding? Don’t spend time worrying about the small details. At the end of the day it will all work out beautifully and that is how you will remember it: as one of the most special days of your life. What’s a piece of advice you’d give to a couple now? Carve out smaller intimate moments with family and close friends within the bigger ceremonial events. The celebration is all about love. Ain’t love grand? 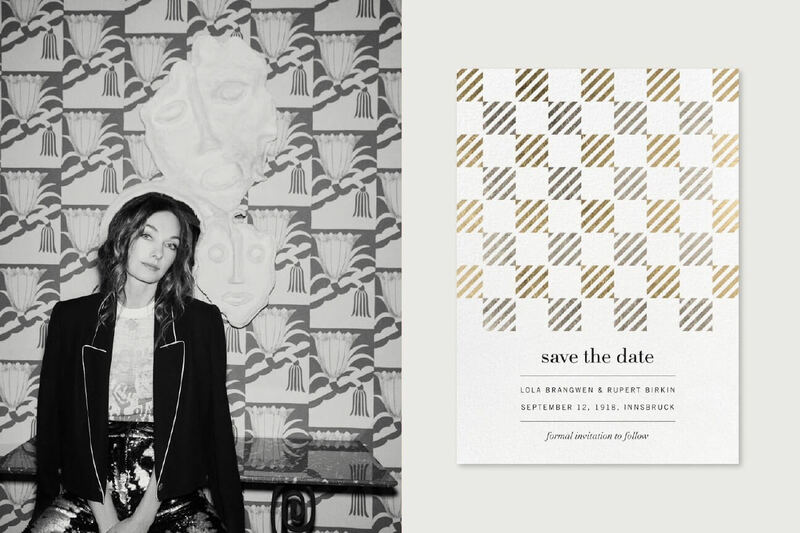 Celebrate it in high style with Kelly Wearstler’s newest wedding collection.